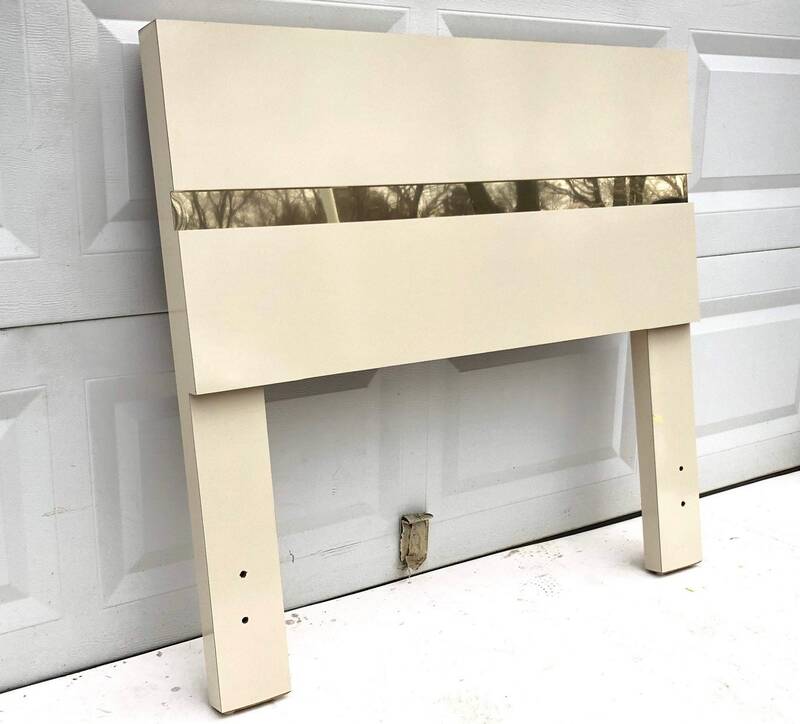 This stylish modern twin size headboard makes a striking addition to any bedroom set. 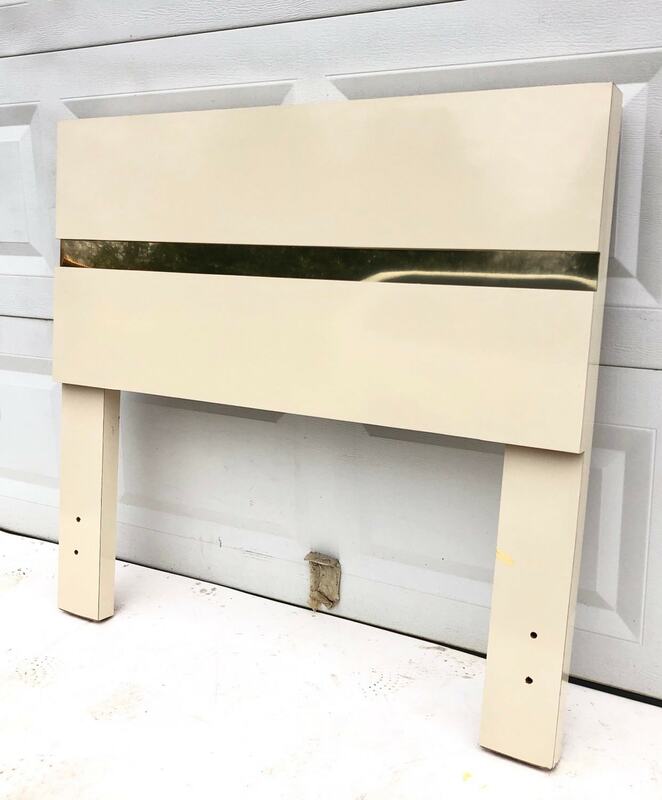 Vintage Modern cream colored finish is accented with brass color trim and mounts easily to most twin bed frames. 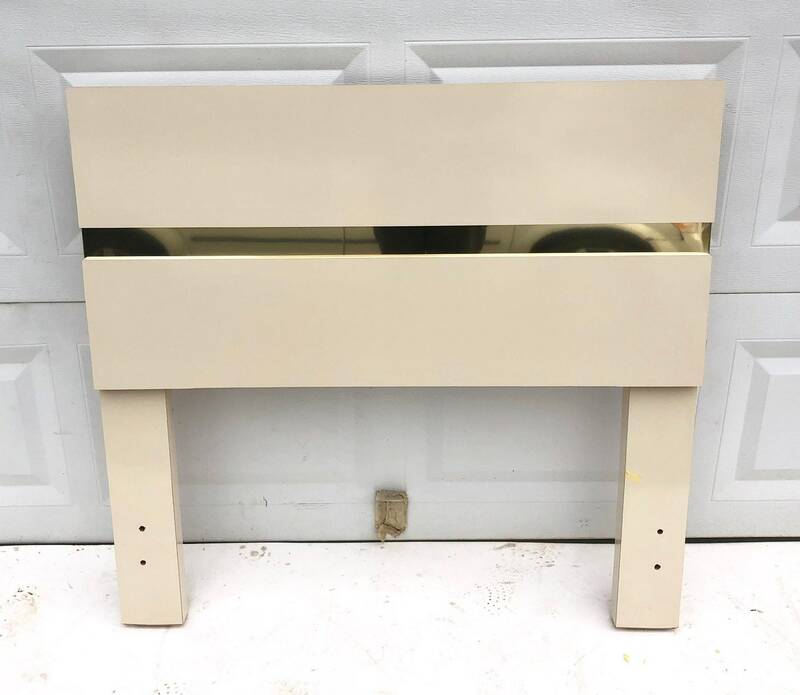 Perfect headboard for child’s bed- matching vanity, nightstand, and highboy dresser also available. Condition: light age appropriate wear, minor scuffs/edge wear. 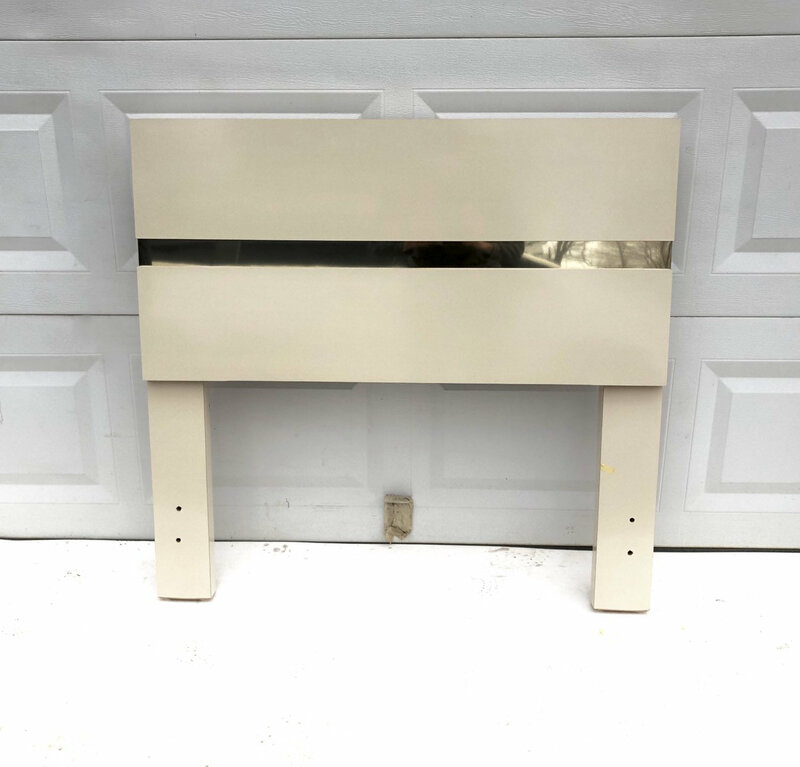 Shipping: Shipping quoted is a PLACEHOLDER- PLEASE contact Seller with Zip Code for ACCURATE SHIPPING QUOTE!